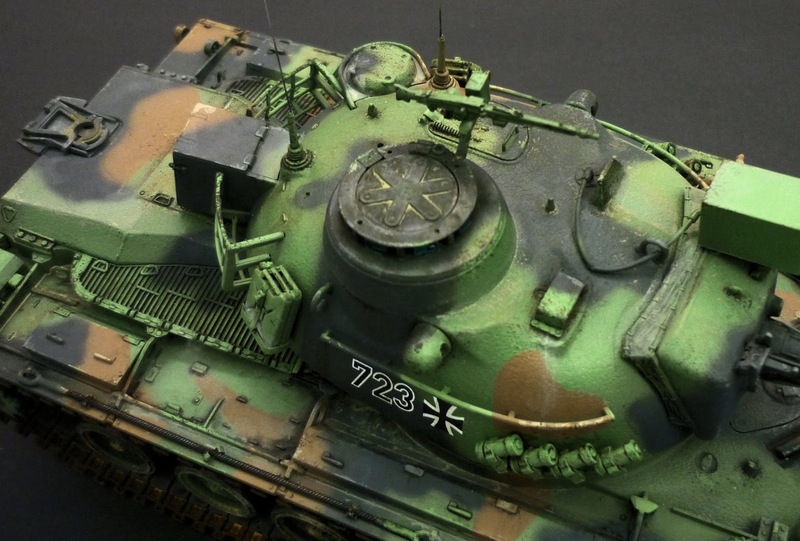 The M48 Patton II is a medium tank designed to be used as the main battle tank by the United States Army. 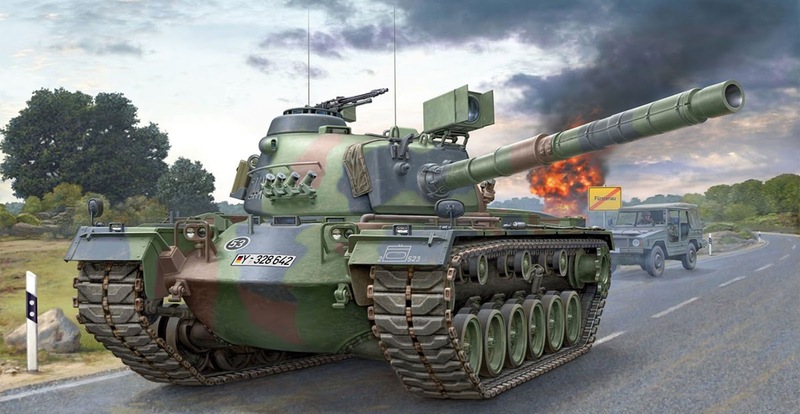 It was the third tank to be officially named after General George S. Patton. 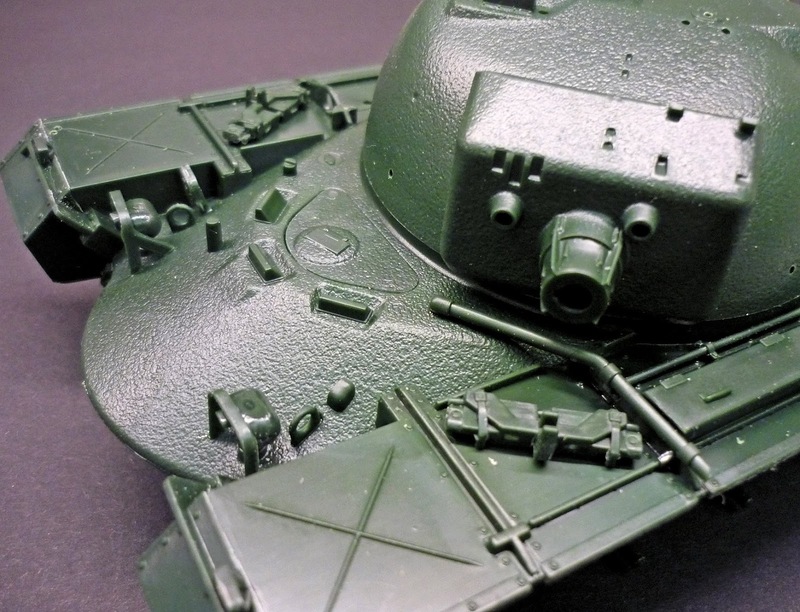 Designed by the Detroit Tank Arsenal to replace the previous M47 Pattons and M4 Shermans and largely resembling the M47, the M48 Patton was a completely new tank design. 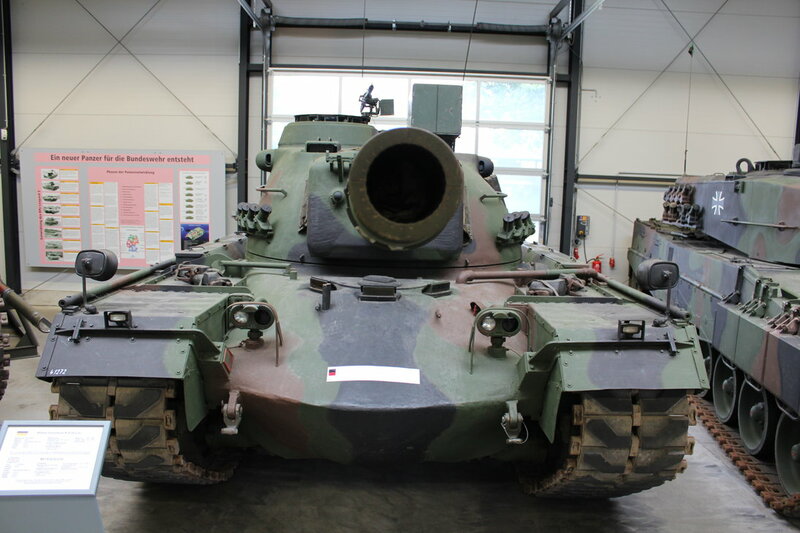 It saw extensive service with the German army under the upgraded M48 A2GA2 designation. 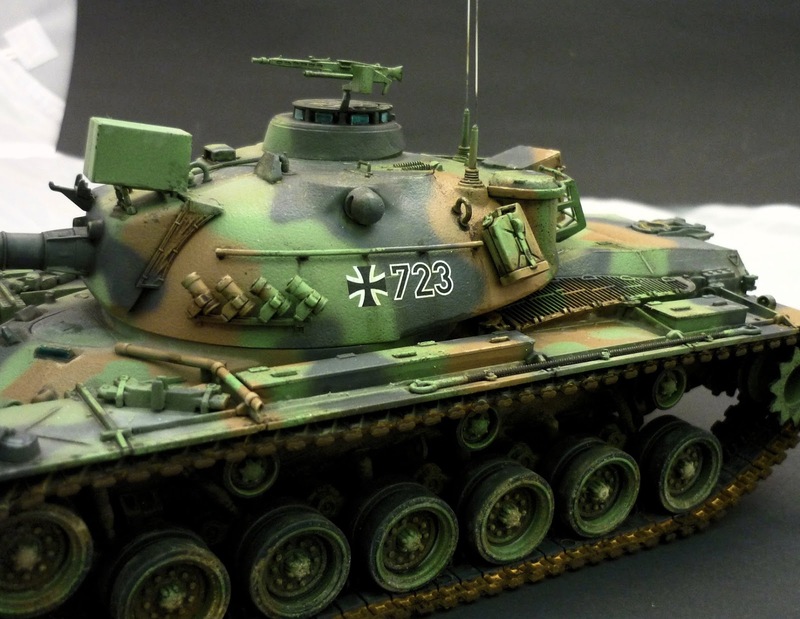 Building a model of a modern military vehicle is a first for me; but when I got my hands on Revell’s new M-48, I got working on it right away. I guess it’s in my usual zone of interest where military vehicles are concerned. 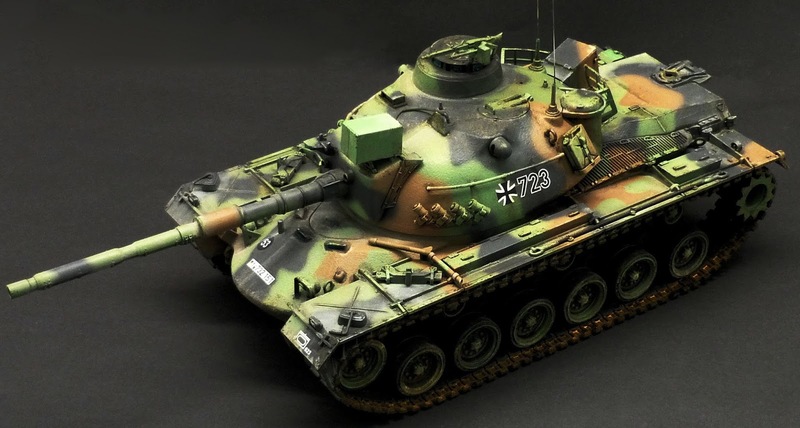 Revell made this first one really easy by delivering a very well fitting and smart engineered kit that offers some pretty nice details, even for the smaller parts. 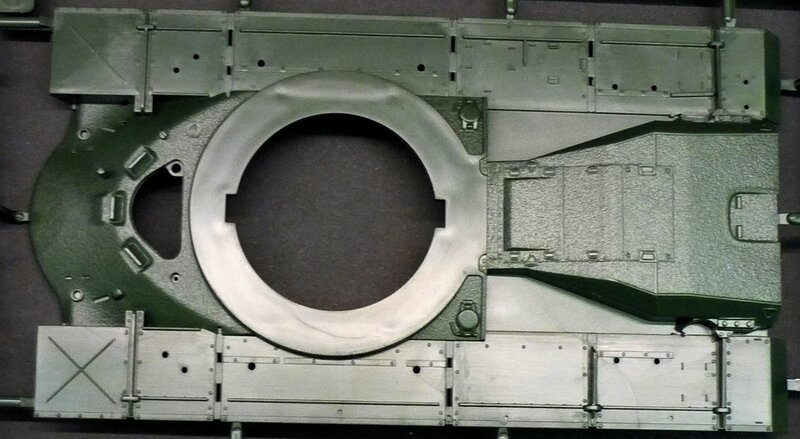 The principal parts (main hull and turret) have a rough welded texture that looks very realistic indeed; Revell clearly wants to offer us a model that is as realistic as possible. 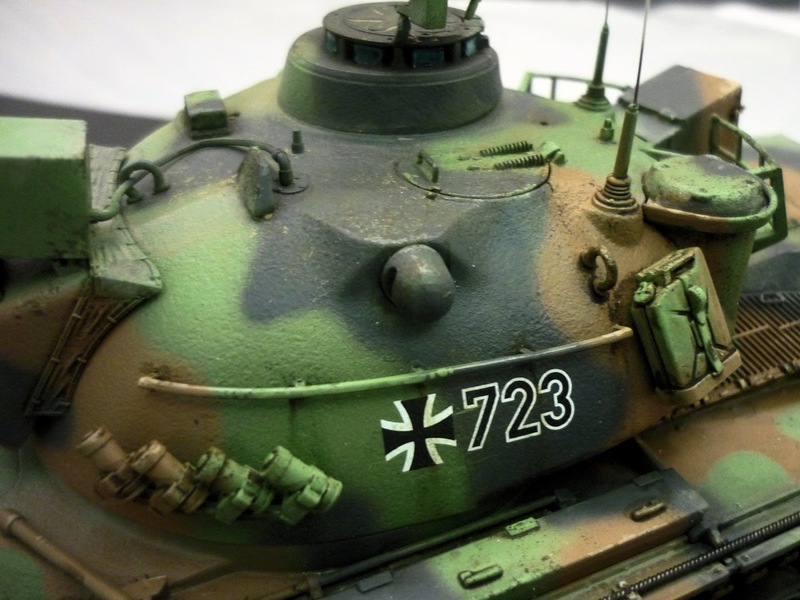 Even if the kit has a lot of small olive-green parts – 216 in all – construction goes without the slightest problem. 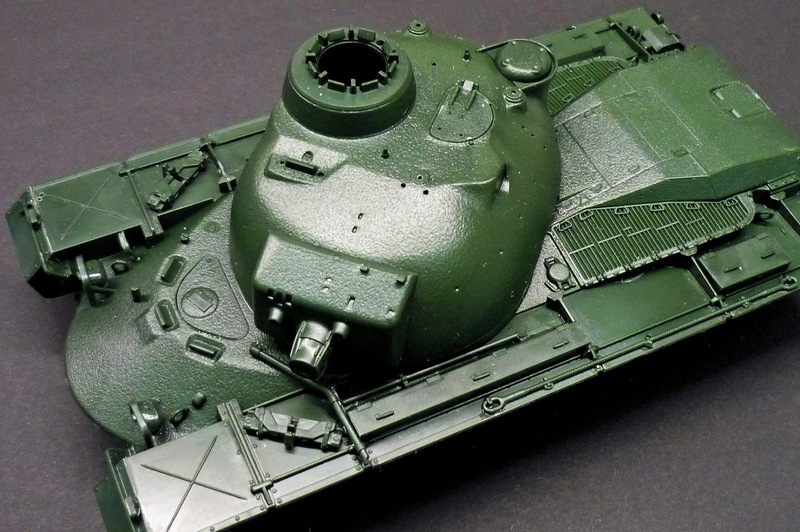 The well thought subassemblies and an easy to follow instruction manual will make this a kit very buildable, even for the less experienced modeller. The different steps of the assembly are very logic and almost the entire kit can be built before you get to the painting stage. The only parts that you should leave off are the tracks, the wheels and the metal antennas provided in the box (and glued onto the front page of the manual). Here the main parts finished and some grey primer on it. 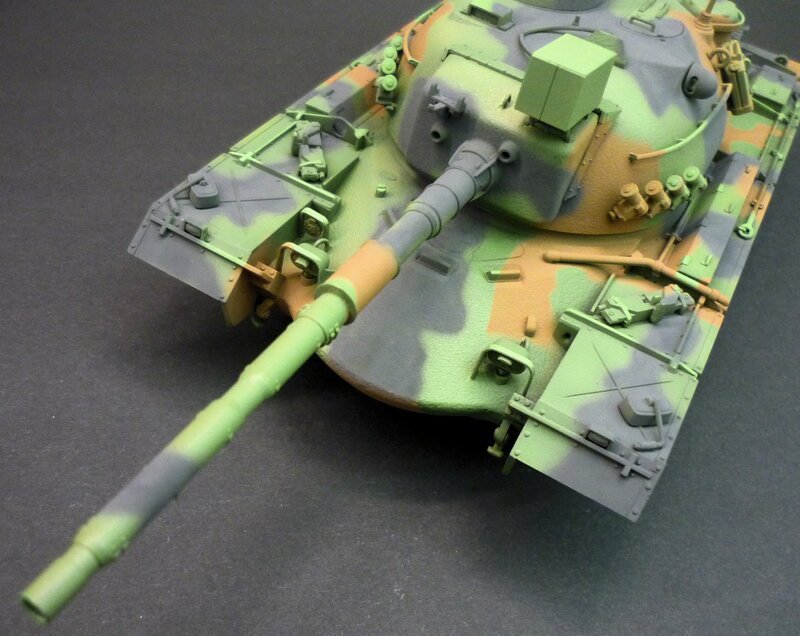 Personally, I prefer my kits in a light grey plastic rather than the dark green used in this kit, because it is harder to see some of the details. At the end however, I didn’t really miss a part and everything went smoothly. 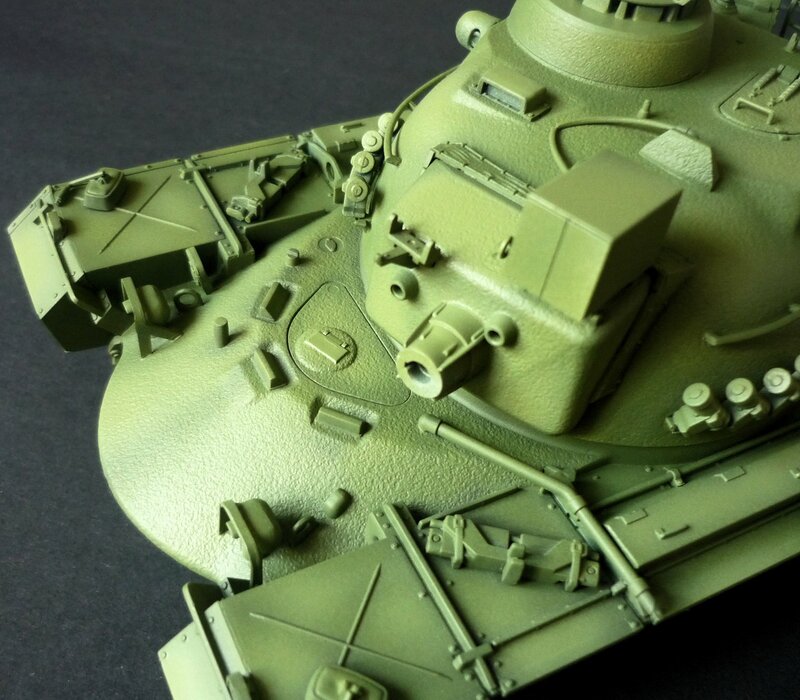 With the first layer of paint, Tamiya light interior green, details start popping out. 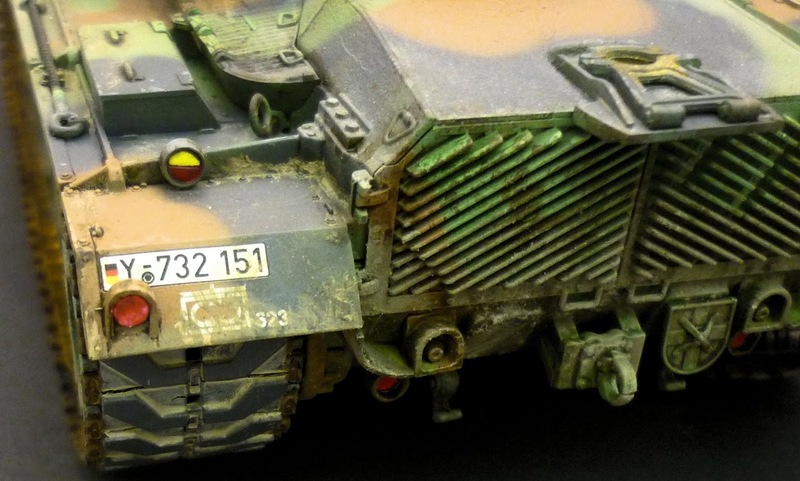 Some post-shading with a lighter shade of green in the centre of the parts and darker on the edges ensures some more depth to the kit. 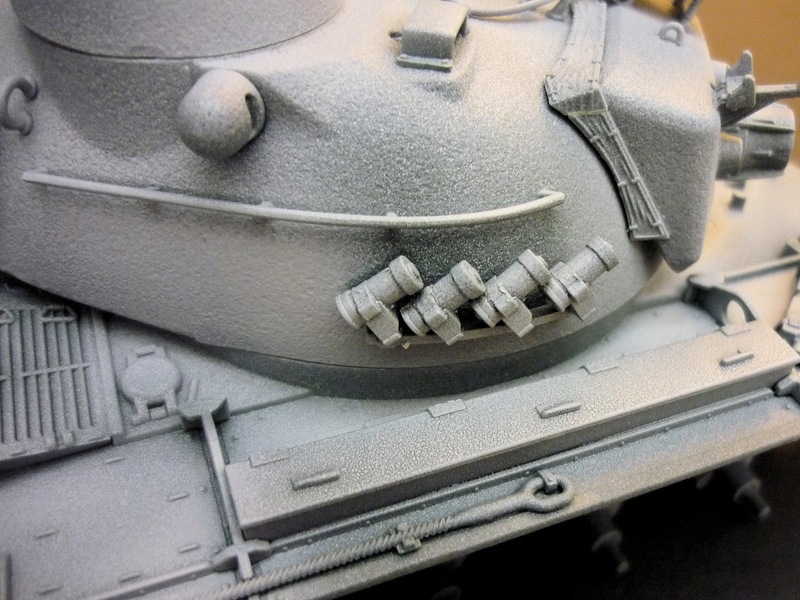 Other than the plastic parts, the box contains two vinyl tracks and a cable for the electricity of the projector, situated on top of the turret. 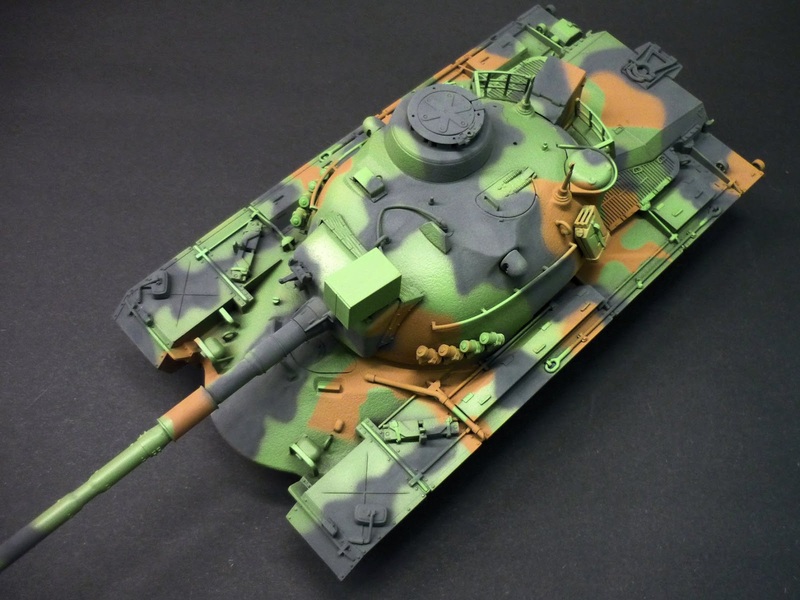 Some free hand airbrush in brown and very dark grey put on the camo. 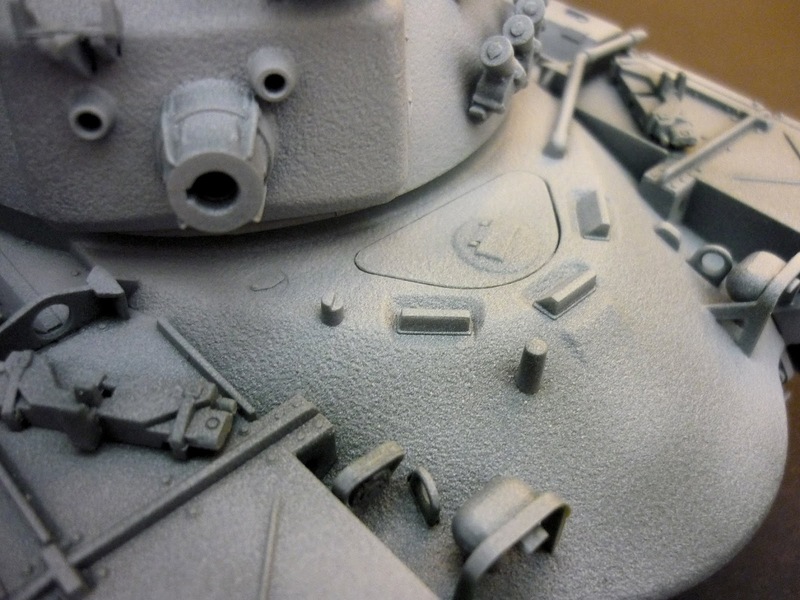 The parts are beautifully cast, the details are well designed and the construction goes without sweat. The result: pretty convincing, even though the more experienced modeller will probably prefer separate tracks to get a more natural flow on the wheels. 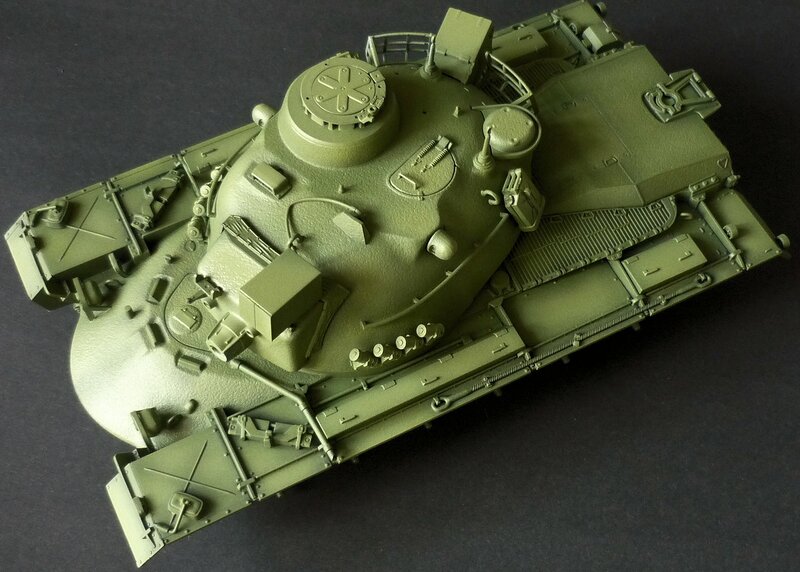 - A layer of Tamiya interior light green – which I think is more realistic and to scale than their NATO green – and some lighter touches of it by adding some white. 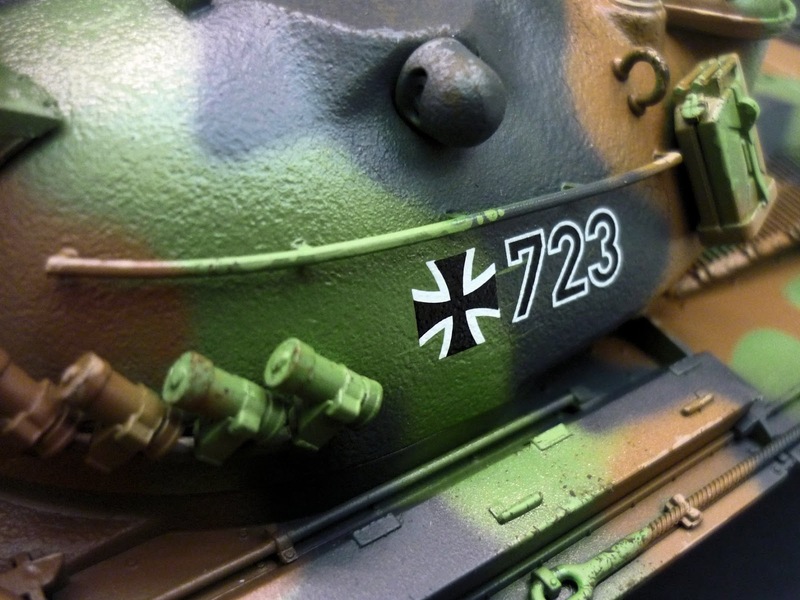 - Decals: easy to place, nicely printed and good colours – if you ask me, Revell provides some of the best in box decals on the market. 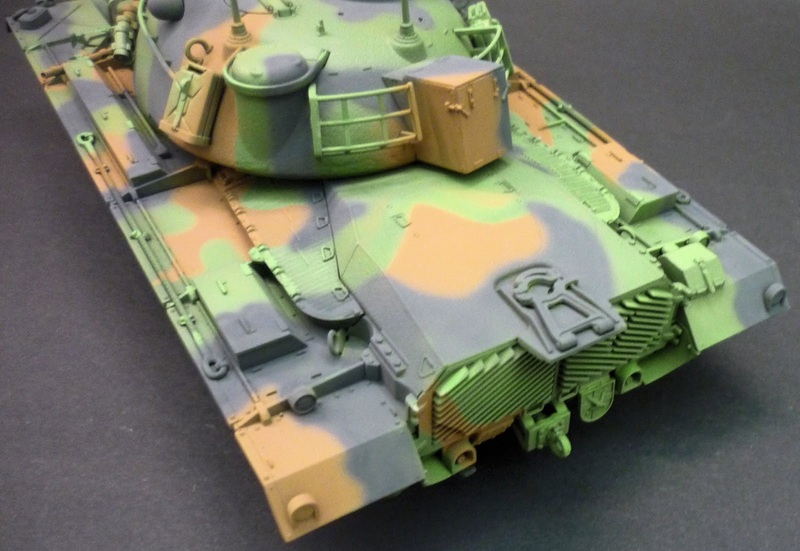 - A coat of mat varnish – and done ! 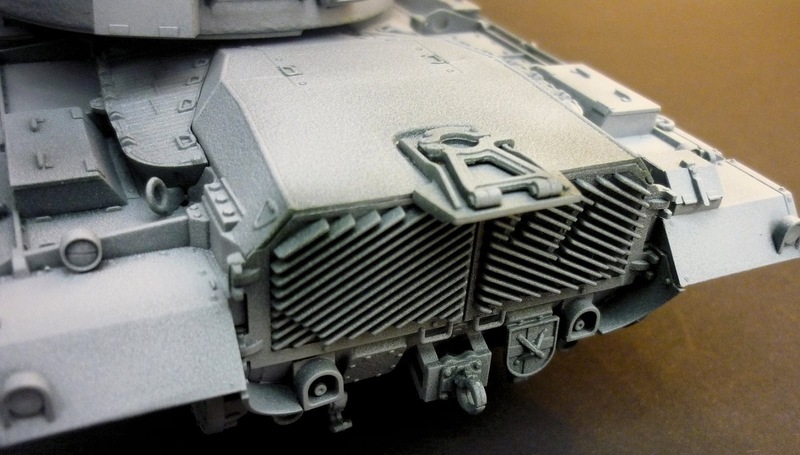 The underside of the tank was done completely with pigments that were fixed with Vallejo mat varnish. I used different shades of pigments, to get a nice and rich colour. 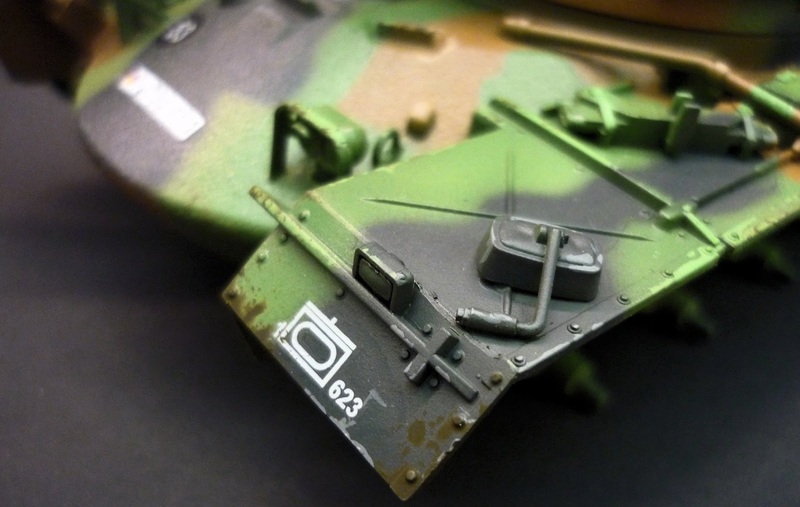 Revell has provided a metal wire for the antenna’s. These go into a very nice but also very fragile support and of course... I broke both of them. I had to fix them, so make sure to go easy on those tiny parts! I really enjoyed building this modern military vehicle, I’ll make more of them, that’s for sure! 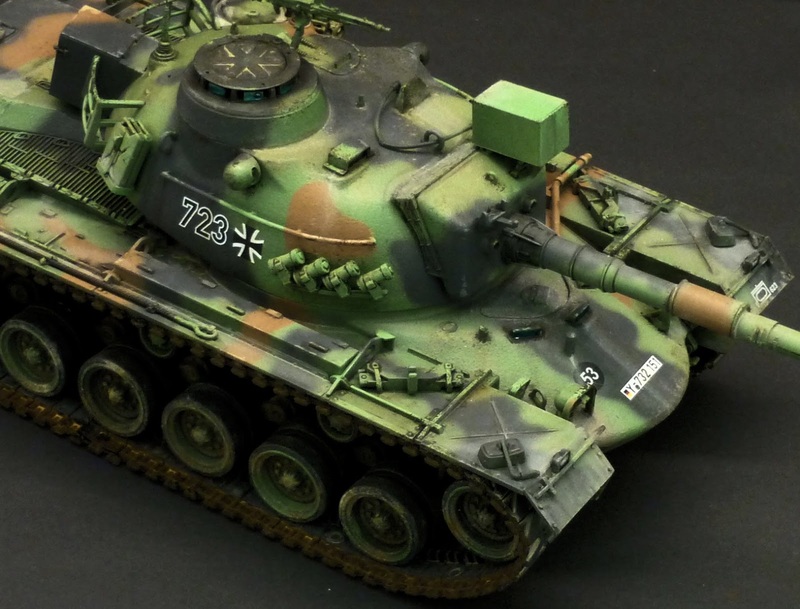 Those Revell Luchs seem like another interesting subject for one of my next builds! 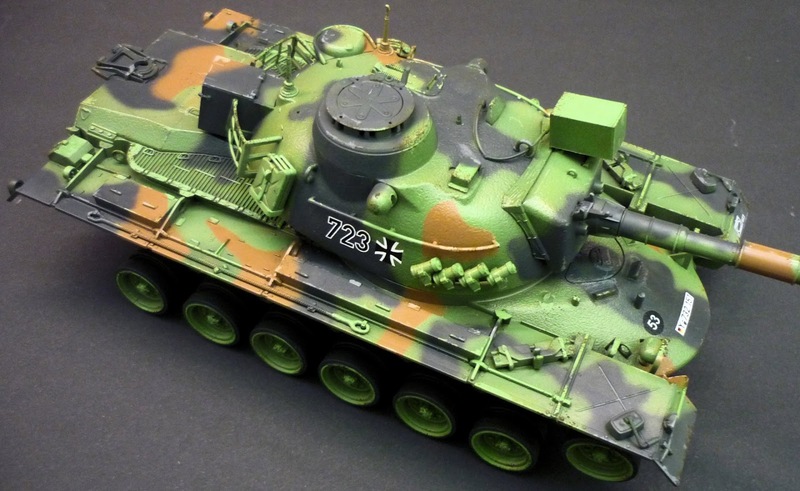 This M-48 is an easy to build, and well detailed kit for an attractive price (around 27 euro). 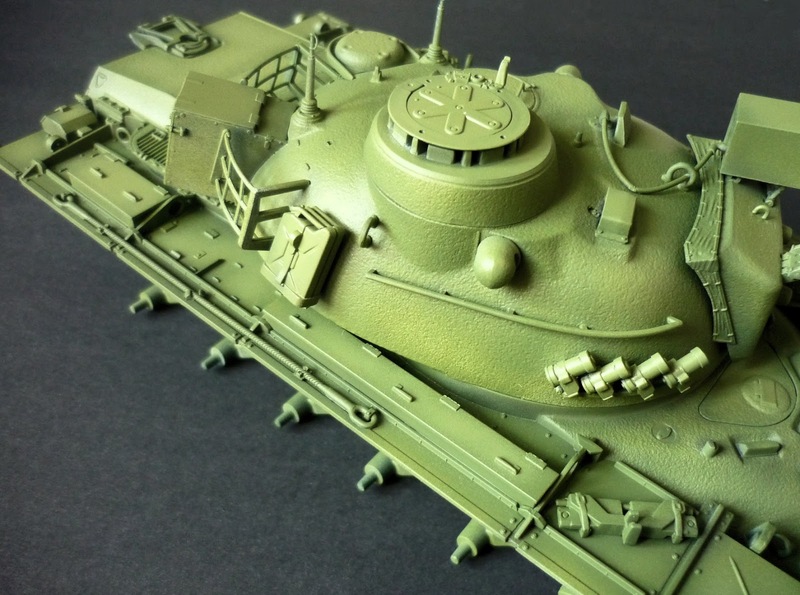 I am sure a lot of modellers will have a fun time building this kit, not only those that build modern military vehicles, but also those that want to give something different a try! Many thanks to Revell for sending us this great new tool M-48!